SNC-Lavalin says it is being punished for the acts of people who no longer work for the company. A gambler offers a tennis player cash to throw a match in the hopes of making a big payday. Determining who is responsible is relatively easy. There is intent, an alleged criminal act and motive. It’s a lot more complicated when the alleged criminal is a company. Consider the executive who pays off a government official with company funds to win a major contract. Who is responsible – the executive or the company? Sometimes both. In Canada and many other countries, individuals and corporations can be found criminally responsible for the same acts. This is the reality now facing Montreal-based engineering giant SNC-Lavalin, along with its 50,000 employees, millions of shareholders and vast network of suppliers. All of them could now suffer for the acts of a few former executives if the company is convicted of fraud and corruption related to contracts in Libya between 2001 and 2011. The company says it has already lost $5-billion in business because of the cloud that has hung over its reputation since the charges were laid in 2015. SNC-Lavalin insists it’s a changed company. It says it’s being punished for the acts of a few bad apples, who no longer work for the company. And it has cleaned up its act by making wholesale management changes and putting in place strict anti-corruption controls. Experts nonetheless say there are plenty of good reasons for pursuing a criminal case against the company. 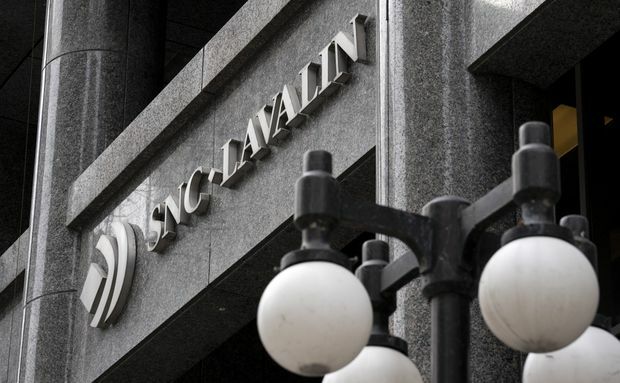 SNC-Lavalin didn’t come to authorities with evidence of wrongdoing. It was caught. And the company has still not acknowledged responsibility for behaviour that has spawned multiple corruption cases and convictions, both in Canada and internationally. But what exactly is a corporation? Is it the management team and board of directors, the employees, the shareholders or some combination? Who is ultimately responsible? “Yes, corporations are intangible, in a strict legal sense,” said Jennifer Quaid, an expert in corporate criminal liability and assistant professor at the University of Ottawa. But a corporation is more than just a collection of individuals. It is an organization, set up in a particular way, and working toward a common goal, such as generating profit, Prof. Quaid says. It can enter into contracts and sue people. Prof. Quaid says SNC-Lavalin has been “playing the violin” by highlighting the collateral damage from a conviction, including the impact on its thousands of innocent employees, in seeking a settlement with prosecutors. And yet, what happened in Libya was apparently not an isolated case. And that may well explain why federal prosecutors balked last year at tapping new provisions in the Criminal Code to offer SNC-Lavalin a way out of its predicament. The Crown could have offered the company a “remedial agreement” that likely would have included steep fines and a long list of commitments to ensure good behaviour going forward in exchange for dropping charges. It did not, prompting howls of protest from the company, and the now-infamous showdown between Prime Minister Justin Trudeau, his aides and former justice minister and attorney-general Jody Wilson-Raybould. Another key element of Canada’s remedial agreement legislation – passed in 2018 with SNC-Lavalin in mind – is that a company must accept full responsibility for any wrongdoing, even at the risk of triggering civil lawsuits and other legal repercussions. That hasn’t happened in this case. For SNC-Lavalin, that may be a bridge too far.